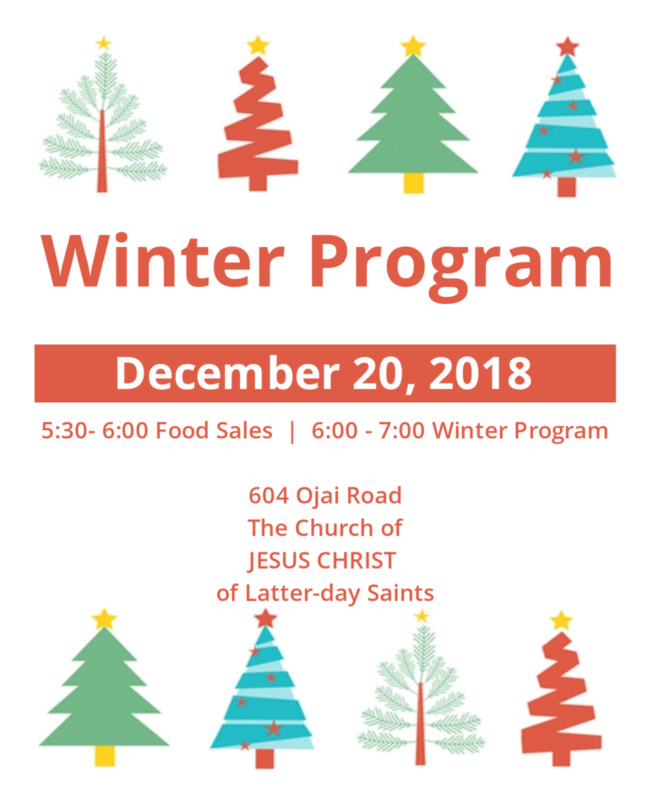 Come see our Mupu Scholars Thursday evening December 20th from 5:30 pm – 7:00 pm for our Winter Program. From 5:30 pm – 6:00 pm will be the food sales and from 6:00 pm – 7:00 pm will be the program. Come and enjoy the performances and have a great time! This event will be held at 604 Ojai Road at The Church of Jesus Christ of Latter-day Saints. Hope to see you there!